It’s the end of an era – but maybe not such a golden era. Once upon a time, ACID and Sound Forge were each industry-leading software tools, originally developed by Sonic Foundry. Now, languishing alongside their stablemate, video editor Vegas, they’re seeing ownership pass from Sony (via its creative software division) to German software house and holding company MAGIX. There are reasons to reflect on ACID and Sound Forge individually. 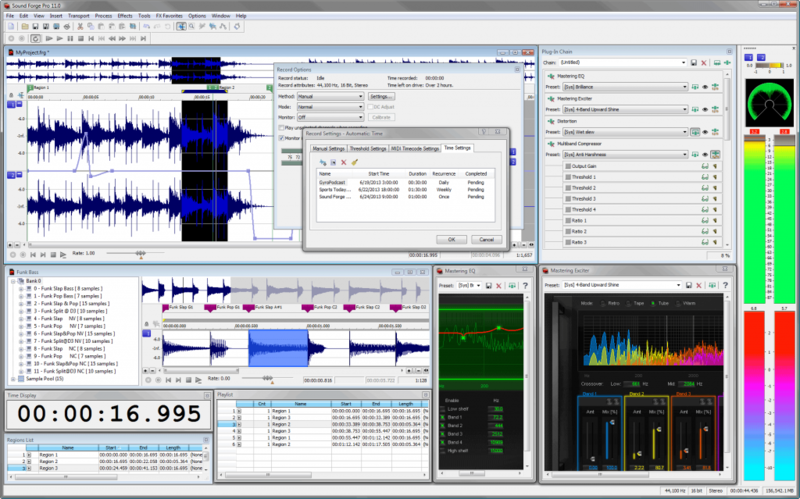 Sound Forge, for its part, remains a favorite dedicated waveform editor. Originally Windows-only, Sony brought the software to the Mac just as OS X lost a lot of its own competition in that category. And that makes Sound Forge one of the few choices if you want an editor that focuses on editing audio files, from mastering to batch processing – things that DAWs aren’t necessarily focused on doing. Sony announced on the 20th of May that they would sell essentially all of their audio and most of their video tools – including flagship editor VEGAS (also a Sound Forge creation) – to MAGIX. I’m embarrassed to say most of us didn’t even hear the news. But the news is a milestone. I always admired the unique shared lineage of the Sound Forge line in audio and video media. That means that ACID takes a unique approach even in its most recent Sony release when it comes to features like keyframes and automation, one that it has inherited from the video world. Sound Forge has unusually robust integrated video features. And Vegas was always the one video editor that felt musical – in the mirror image of ACID, one that lets you take a metric, rhythmic approach to video editing if you so choose. ACID in particular has languished under Sony ownership – just when it most needed to compete against breakneck development of Ableton Live, Reason, GarageBand, and even the likes of FL Studio. The last major release was way back in 2008, with the only real maintenance update in 2010 – a sad slow-motion death for what was once a great product. So who is the new owner? That’ll be MAGIX Software GmbH. MAGIX is probably Berlin’s best-kept music software secret. Sure, you know Ableton and Native Instruments and SoundCloud and even Bitwig are here in the German capital, but MAGIX is less a household name. PC users know them, though. They make various entry-level music and video software products, for one thing – making ACID and Vegas something of a logical fit. While that may seem weird, and while those tools don’t have the name recognition that GarageBand does, I’ve heard over the years repeatedly that some of these entry-level products in general do surprising volume numbers. And MAGIX is also a maker of niche pro products – Samplitude and Sequoia might elicit a big “huh?” from Mac users, but some pro users on Windows live and die by them. That also suggests a good fit. MAGIX are neighbors of mine, so once the acquisition settles in, I’ll have to pay them a visit and see how these tools are faring. I have personally spent some quality hours with them. I would at least hope they do well. The market is far more mature than it once was, meaning that even older tools could get a second lease on life.